Arise is committed to advancing female financial inclusion on the continent and was proud to partner with FMO, Norfund and the Bank of Zambia on hosting a Female Focus on Financial Inclusion journey at the end of May. The aim of this initiative was to provide a platform for women across the financial spectrum to share how female financial inclusion can be advanced through collaboration. The two-day workshop was geared at enhancing female leadership and informative sessions on how female entrepreneurs can access finance and financial services were hosted. According to Arise CEO, Deepak Malik, as a leading investor in the financial sector in Sub – Saharan Africa, Arise is committed to making a difference. “We are passionate about affecting change and promoting financial inclusion to advance economic growth and reduce inequalities. There is a need for more platforms like this, which support and advance female entrepreneurship”, he said. 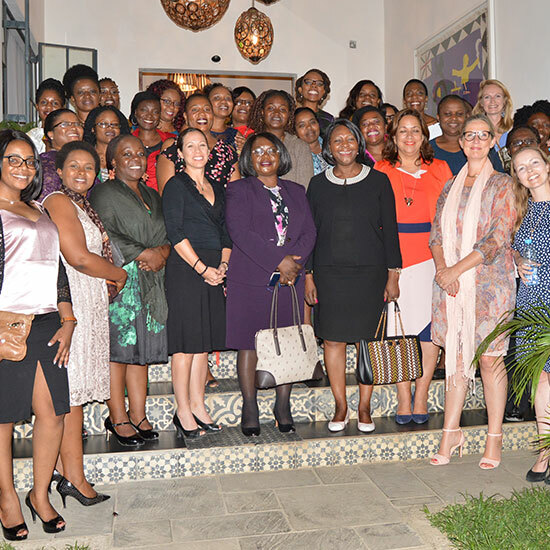 More than 28 women ranging from local entrepreneurs to financial services professionals from Zambia were in attendance. Key highlights of the week included the trusted dialogue dinner hosted by the National Minister of Finance, Margaret Mwanakatwe and the business pitch session on the last day, where entrepreneurs were afforded an opportunity to pitch their business models to leading players in the financial services sector. The event was well received and more than 19 bankers from several local banks were present. Besides creating a strong female support network dubbed “The Sisterhood”, some of the future outcomes include banks reviewing their credit risk scoring for female entrepreneurs, developing non-financial services for female entrepreneurs and setting up an angel investor network for women to invest in start-up female entrepreneurs. Mr Malik concluded by saying that more initiatives in this regard should be hosted going forward. “To address the gender disparity in the banking sector in Africa it is imperative that financial institutions strive to close the gender gap within their organisations and to promote female financial inclusion throughout their portfolio”, he said.